Sony has provided the best water resistant smartphones available in the market by far. While Samsung has started to waterproof its devices too, the level is still not that extreme as witnessed on a Sony Xperia smartphone. How exactly does Sony manage to make its devices water-resistant is a question asked by many curious minds. 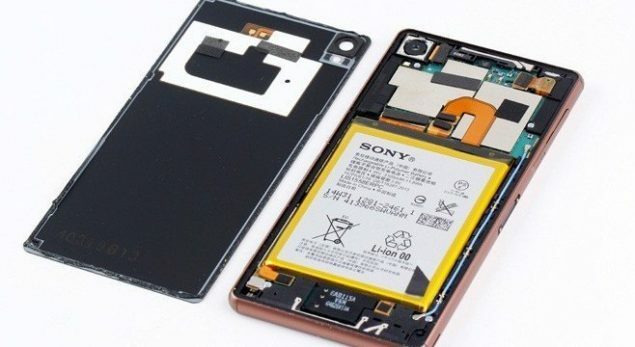 The latest Sony Xperia Z3 teardown unlocks the smartphone and its inner infrastructure revealing some interesting bits and pieces that Sony installs to make its devices waterproof. Sony Xperia Z3 didn’t have to do much to grab attention as its predecessor did a perfect job in making its place rather permanent in the top end smartphones. Powered by some of the best hardware specifications available right now, Sony Xperia Z3 is no doubt one of the best smartphones looked forward to for its extreme water-resistance and its industry leading camera technology. The latest Sony Xperia Z3 teardown comes thanks to ewisetech taking a good look at the insides of the gadget. As it has become customary with almost all the high-end smartphones, Sony doesn’t offer removable batteries with its Xperia lineup. The teardown removes the back plate revealing quite a large battery and other components. 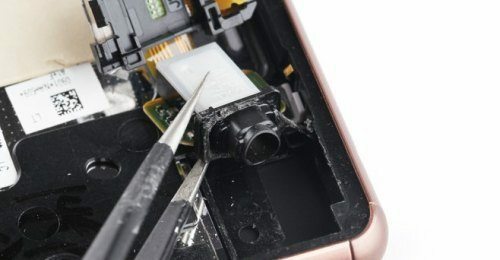 To achieve IP68 level of water and dust resistance, Sony apparently installs a thin insulating rubber layer around the entire edge of the smartphone, practically sealing it off from any external damage. Everything else in the Sony Xperia Z3 teardown looks usual and quite self-explanatory. Motherboard, headphone jack, camera, and antenna modules can all be removed with a few screws making replacements fairly easy. You can spot the memory chips, which have been provided by Samsung, and the Qualcomm PM8941 quick-charge component. Dual-SIM card slots, audio codec, and NXP Class D amplifies are also noticeable. Something that could come under quite an intelligent designing is in the shape of an integrated heat pipe. This pipe is connected to the processing chip and helps to dissipate heat away from the SoC, to the edge of the case. This mechanism will help the device cool down quickly as the heat is manually driven outwards from the SoC. You can read more about the Sony Xperia Z3 teardown from the ewisetech blog itself.